Multilaw is a leading global network of independent law firms. It was founded in 1990 on the premise that an alliance of carefully selected, independent firms working together worldwide offered the most effective way of fulfilling clients’ international needs. Today more than ever, business and corporate relationships frequently embrace ever-changing combinations of nations, continents, cultures, languages and laws. Performing effectively in this complex, global environment demands expert legal advice clients can rely on and with over 8000 lawyers in more than 150 commercial centres Multilaw is the perfect legal partner. 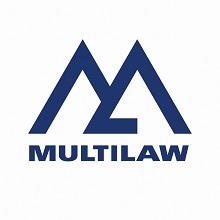 Before a new firm is selected and invited to join Multilaw we apply the most stringent due diligence and quality control procedures.And a rigorous appraisal system is in place to ensure that our existing members are maintaining the professional and ethical conduct that are expected.